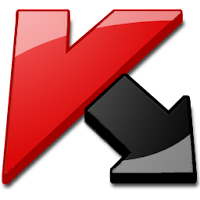 of Kaspersky AV + IS 2012 and PURE 9 so you have more time to evaluate the product. license, done within a few seconds (incl. all Kaspersky features and updates). No need hunting for Kaspersky licenses since eventually all get blacklisted. 2. Exit Kaspersky by using the trayicon. 3. Start ganjin_ktr_2012.exe and press the -Reset- button. 4. 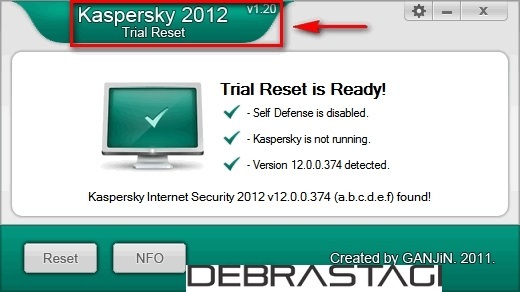 Wait for Kaspersky to launch and activate your new trial period. Note: Your computer has to reboot when resetting 2012 versions of Kaspersky. * Tested on WinXP/Vista/7 (x86/x64). * No need to uninstall the Trial Reset since there's nothing to uninstall. * KTR2012-v1.20 may not work with the latest patches/updates by Kaspersky. * KTR2012-v1.20 may not work with newer or older versions of Kaspersky. * KTR2012-v1.20 requires the Microsoft Net Framework 3.0. * Kaspersky 2012 download links included. (right-click on KTR2012-v1.20 and choose 'Run as Administrator'). Trial Reset to the exclusions lists, or when using the Trial Reset.